Ubuntu 8.04 USB Live installation from Windows: This simple tutorial covers how to install, boot and then run Ubuntu 8.04.1 (Hardy Heron) from a USB flash drive. Upon completion of this tutorial, Ubuntu 8.04 can be run from the portable flash device in the same fashion (but much faster) than it would from the Live CD. This specific tutorial does not cover a Ubuntu 8.04.1 persistence (persistent) feature option. Hence the user cannot save changes back to the USB device using this tutorial. 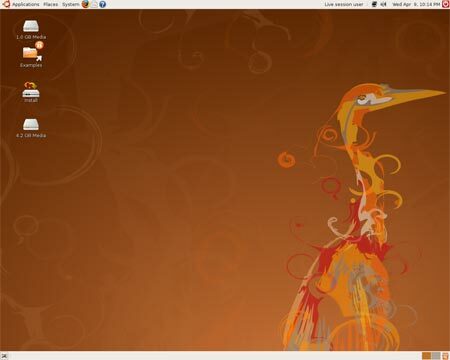 If all goes well, you should now be booting from a Live USB version of Ubuntu 8.04.1 Hardy Heron.